A kind friend and fellow Tarot enthusiast just send this poem and I can not resist sharing it with you all 🙂 Enjoy! Not a creature was stirring, Pagan, faerie or beast. To rejoice that the Sun King would soon be reborn. Their dreams filled with visions of belov’d Mother Earth. Had just settled down to our own Solstice sleep. Awakened us both with the honking of geese. We raced to the window and our mouths dropped in shock! With Frau Hilda behind them in her gift-laden sleigh. 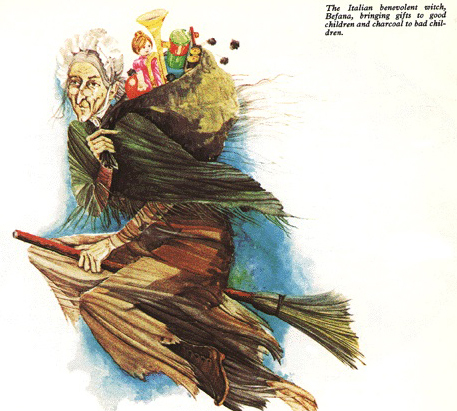 La Befana was approaching to bestow Yuletide cheer. And we knew that Lucia would be with us soon. “Fly Isolde! Fly Tristan! Fly Odin and Freya! 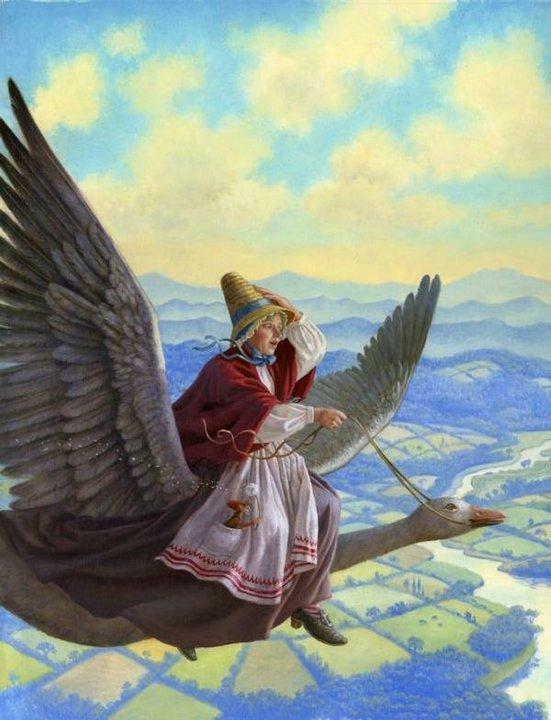 Fly Morgaine! Fly Merlin! Fly Uranus and Gaia! Their arrival announced by a faint chiming bell. They landed like angels, their bodies aglow. Their feet left no markings in the new fallen snow. There came a slow creaking from our threshold door. There in our parlor stood the Yule Trinity! Shown with the radiance for which she is named. 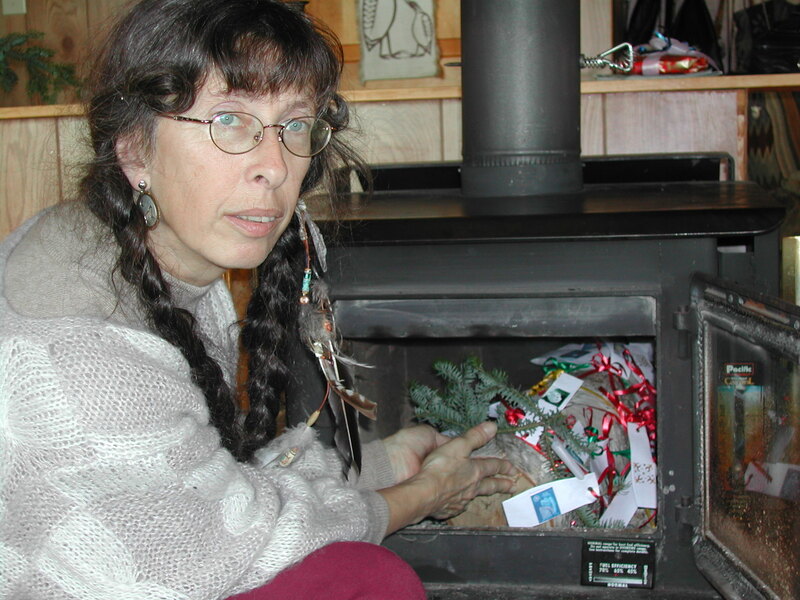 Then she lit our Yule log – which still burns to this day. The Matron of Solstice, the Mother of all. Under her we felt both safe and secure. And from the folds of her cloak showered coins of pure gold. The veil of the Crone who has secrets to share. In her eyes gleamed the wisdom only gained by spent youth. Then she banished misfortune with a sweep of her broom. Took a drink of wassail and away they all sped. At the wondrous magic we had found on this night. 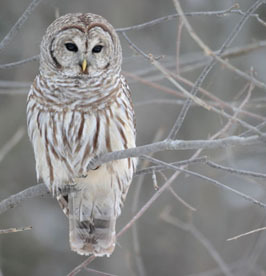 Today I want to share a few of the many Winter Solstice customs from around the world. Most of them date back to a time before Christianity and most of them have an element of shamanism at their centre. 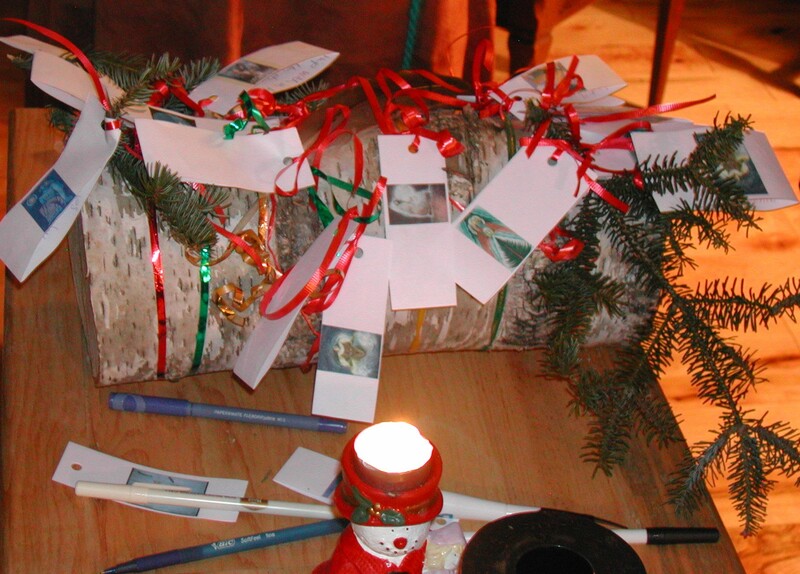 When we get together in our house, each Solstice Circle participant reads out loud about one of these traditions. The Winter Solstice is the year’s shortest day and longest night. For our ancient ancestors it was a scary prospect, to see the sun in late fall rise later and later and sink earlier and earlier with less and less daylight and warmth left. They worried each year that the sun might not be able to gain its warms back again. They believed the sun waged a formidable battle with the forces of darkness and so they gathered and lit fires and drummed and danced to cheer on the sun and assist her in her victory over darkness. Solstice festivals therefore centred around the idea of rebirth to assist the newborn sun to grow in strength, when it emerged from the dark womb of night. It is a celebration of the eternal cycle of life. The wheel of the Solar year has turned and the light is reborn. Many people around the world believe in the Earth as being a female, that is forever changing, a virgin in spring, a woman and mother in summer and a wise old crone in fall and early winter. The solstice is the turning point, where by the power of the sun the old crone is turned again into her virgin form. In Japan the Sun goddess Amaterasu emerges from her cave again as a young woman. For the Apache and Navajo Yolkai Estan = Changing Woman = Mother Earth changes from a tired old limping old woman to a beautiful young maiden full strength and promise. The Apache people have all night mountain spirit dances to ward of evil and guard the village. 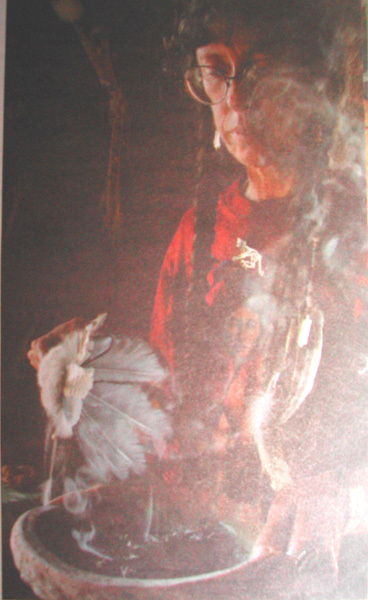 In Zuni Pueblo the Soyal ceremonies mark the return of the Kachina people to the human people. The divine symbol of the power of the sun, the fire of new beginnings, on the longest night of the year, is the Yule log. It is set ablaze to assure good fortune and continuation. It is a sacred offering from the Tree of Life to the sun. So let us light the Yule candle and later decorate the Yule Log. Another solstice custom are the so called Mummer;s Dances. People dress up in animal skins and masks would romp from house to house to sing and dance and collect food and drink and pennies for their efforts. In mediaeval times in Britain the Mummers Plays would re enact the ritual slaying of the old sun/year and the rebirth of the new. It was widely known as the Morris dance. But Father Christmas (the bringer of light) intervenes calling for mercy and tolerance – and a doctor. The Doctor has a magical drink (brandy) and revives the Turkish Knight, who promises to behave himself……. On Winter solstice in ancient per-christian Europe the people would don animal skins and sing and drum and dance to ensure not only the return of the sun but also to honour the animals of the hunt upon which they depended. This is the beginning of the still popular Mummer’s Dances. 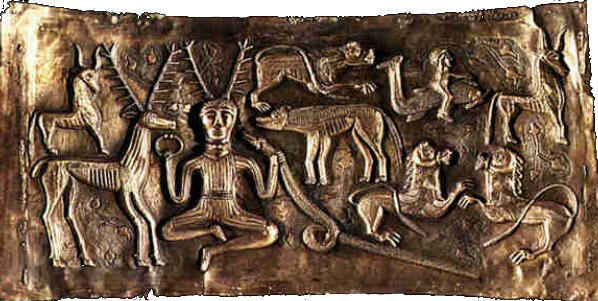 Later-in northern Europe shamans were often synonymous with the craft of smiting = power and creative force over the element of fire and by extension over the sun. The traditional guild outfit or the smithy’s gild was a red cloak and cap with white trim and a black belt with a silver buckle and black pants. Among Mi-Shell’s Siberian ancestors the shaman, in this case her great grand mother Ulali, would spend the Solstice night walking around the outskirts of the village singing and drumming to prevent malevolent spirits from entering the village and bringing illness and harm. At the height of the celebrations the shaman of the tribe ritually climbed the centre pole of the lodge, that represented the Tree of Life to speak to the Spirits (go on a trance journey). Amongst drumming and singing he – or she ( often Mi-Shell’s gran) could stay up there for quite a while…. When he /she came back down it was with gifts of prophecy , advice and wisdom that would sustain the tribe through another year. In Iceland people fear, that whoever has not apologized by winter solstice for transgressions committed would at midnight be devoured by a giant long-toothed cat that lived in a mud-volcano. The Jewish celebration of Hanukah is nothing but attribute to the return of the light after a time of darkness and the lighting of the menorah with its 9 candles symbolises the newborn light. Also presents are given in its honour. and sorrow be cast underground! The importance of the Egyptian culture is expressed in the architecture of the great temples at Karnak, Thebes and Abydos each of which focuses the rays of the Midwinter sun into the heart of the temple enclosure. This puts these sites at par with the mighty earth temples and stone circles of Europe like New grange and Stonehenge. Decorating one’s doorway with holly and ivy at the solstice was so clearly linked with ancient beliefs that Christian fathers more than once tried to outlaw the practice, but to no avail. Holly was also part of an ancient, ritualized battle of the sexes: tradition held that whoever first brought holly into the house at Yule, master or mistress should rule the household for the coming year. The kiss under the mistletoe may have then represented a peaceful resolution and union of the two. In the Baltic’s reigns the Sun Goddess Saule. On Winter Solstice her heavenly smith, Kalvis, wearing a red and white suit with a black belt remade the sun for her. Using his magic hammer he formed a golden cup to catch Saule’s tears the liquid sunshine that solidified to Amber. Then he accompanied Saul in her flying chariot pulled by Reindeers and wrote over the hilltops of dawn. Saule threw presents of amber and apples over the world below as they flew across the sky. Does this remind you of Santa, Rudolph and the presents? Rozhanitza Rozhanitza is a winter goddess found in Russia and eastern Europe. Winter embroideries were made to honor her, which often show her with her daughter goddess, who is sometimes human and sometimes a deer. 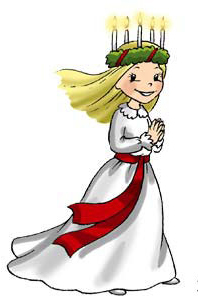 She is shown with horns, lone among the deer species, the reindeer of the far north are the only species in which the female also has antlers. 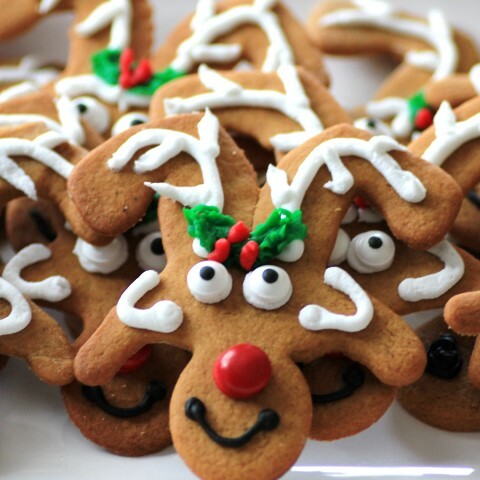 Her feast day is December 26th; and white-iced Reindeer cookies were given as good luck tokens on that day. Romans wreathed their temples with pine boughs for the celebrations of the Saturnalia and Kalends. The former was a festival for the winter sowing season that ran from Dec. 17 – 24; a general holiday was observed and presents, often candles, were exchanged. The Kalends was the Roman New Year celebration. Presents were also exchanged at this time, as symbols of the sweetness, light and health the giver wished for the recipient in the new year. The new christian church tried to eradicate these customs in their followers but gradually had to incorporated them by declaring that presents and well-wishes were exchanged in honor of baby Jesus. One would think if Christ was indeed born December 25th, this fact would have been recognized in his native land from the start. The current date was chosen because it was already celebrated as the birth of Sol Invictus, the Unconquered Sun an alternate title for the rival Savior Mithras, whom even St. Augustine declared to be the same deity. And this date already incorporated the earlier Greek sun festival, the Helia. And of course there was the Norse celebration of Yule, which honoured the rebirth of the God Frey at the darkest point of winter. rituals to assist the rebirth of the light and the continuation of the life-cycle. What is your personal symbol of rebirth and continuation? And welcome joy with open arms. … there are many more customs, including your very own .